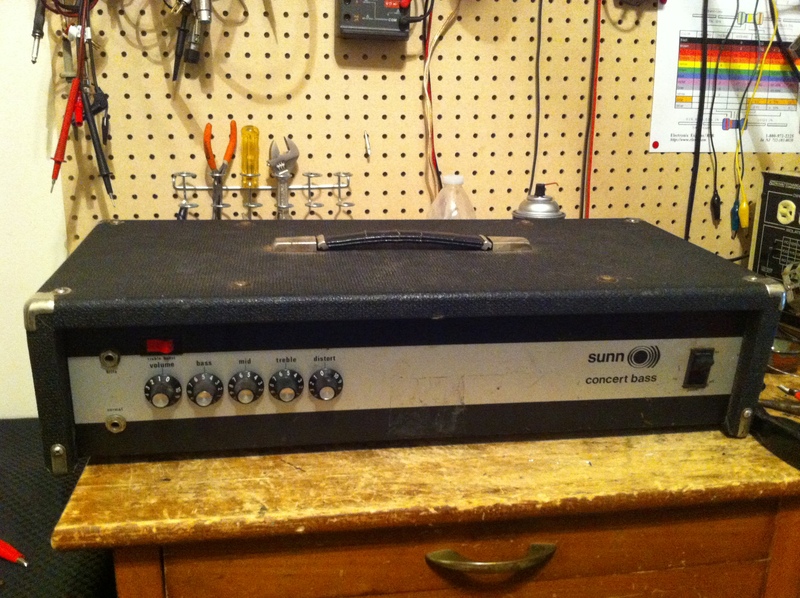 Early version of the Sunn Concert Bass. 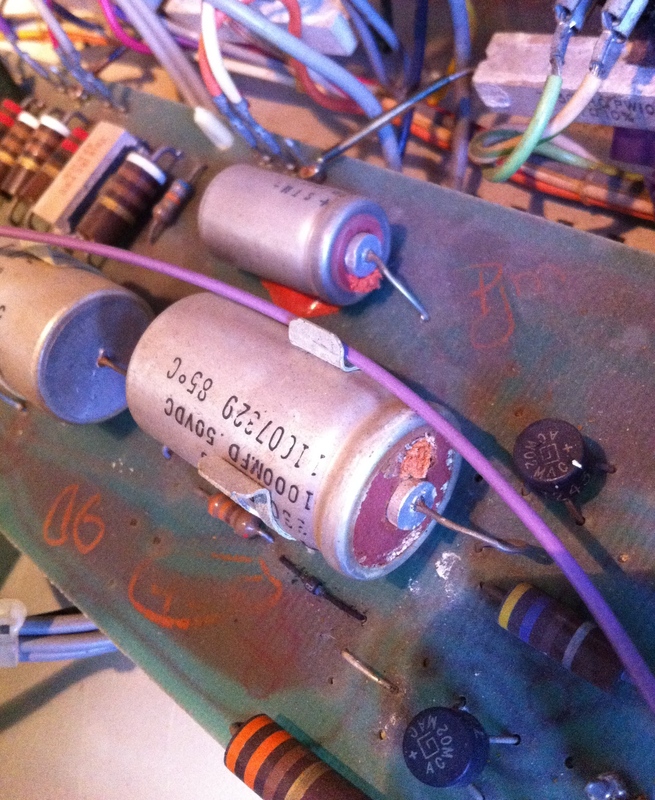 Seems like these earlier ones with the silver panel were 1972-74 and the red knobs started appearing in 1975. This amp is actually very similar to the red knob version in the preamp and output section but the power supply is totally different. Red knob version has a single secondary winding meaning there is only one voltage out from the power transformer and successive voltages are stepped down with dropping resistors and then tapped off the power supply. The early version actually has three power transformer secondaries each supplying different voltages to different parts of the amp. Each supply has a rectifier so it is kind of a triple rectifier LOL. 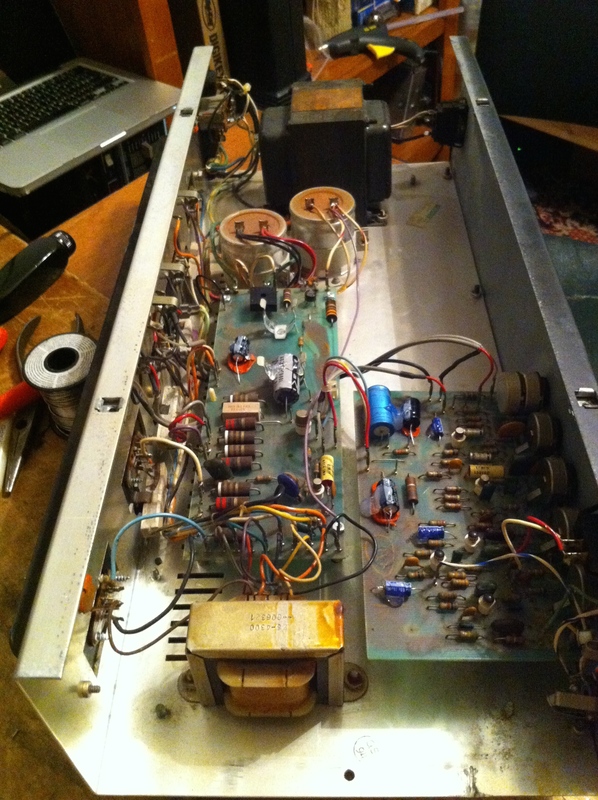 Anyway in this case the rectifier for the preamp supply was shorted so the amp would trip the circuit breaker. Guess it was only a matter of time before this thing failed since basically all caps in the amp with the exception of the two biggest, the 3450uf/75V cap and the 1000uF/75V cap, looked like this. Seems like 90% of the time short circuits happen in the power supply or the output section. Since this short circuit happened in the preamp supply there was no other component damage other than the rectifier itself. In most other cases of solid state short circuit you probably will be replacing output transistors and more.